Recess by Henri Gillet from Perkins Bacon Plates 1854 (April): 5 c. Burnt Siena, wmk. pos. 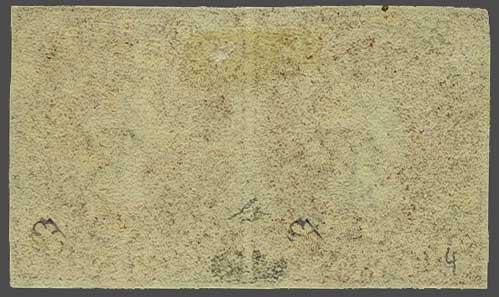 4, a used horizontal pair with large margins all round, lightly cancelled in black. 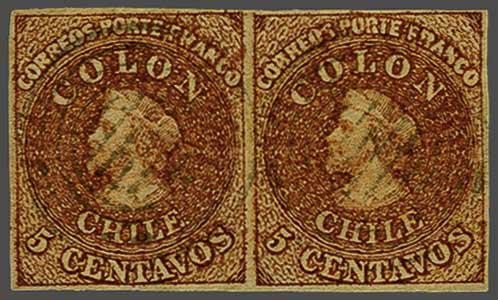 A scarce stamp in a multiple and very rare in such fine quality. Cert. BPA (1992) Gi. 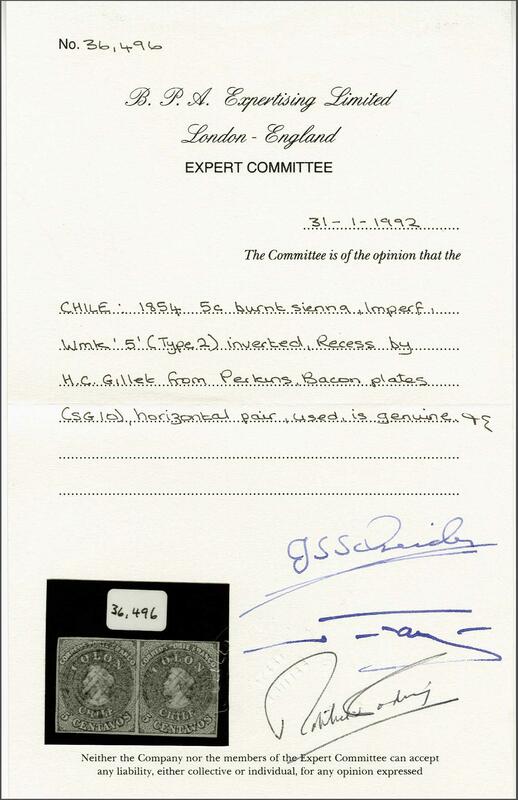 10 = £ 900+/Scott = $ 600+.rnProvenance: Corinphila sale 70, March 1984, lot 4012; Collection Gerhard Blank, RL, Dec 1991, lot 1010.